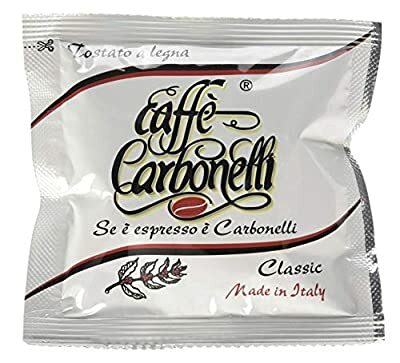 The blend of the classic Neapolitan "tazzulella e'cafè". Composed of 70% Arabica coffee, for a sweet taste in an intense body. A blend of coffee specially designed for espresso lovers. 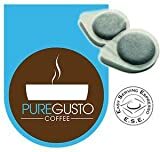 It is born from the right composition of African and Indian coffee, balancing them and taking advantage of the sweetness of the best Brazilian Arabian. Roasting is average. In the cup it looks full but delicate, with a golden cream on the surface. It will leave you a pleasant sweet aftertaste, which you will not want to try any more coffee. Waffle Coffee Standard Essays The ESE standard (easy serving espresso) is the term used to identify coffee beans and their compatible machines. A dose of ground coffee, in our case of 7.5gr. 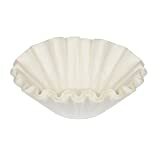 It is inserted into two layers of filter paper, vacuum-packed and individually packaged in a protective atmosphere. 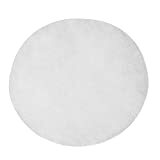 Technical features Single - sided wafer in filter paper Net weight: 7gr. | Protective film packaging in triple layer aluminum film Deadline 24 months from date of production.